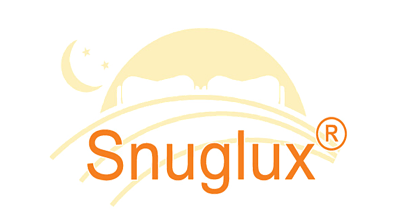 The Snuglux Sleeping Bag has a removable cover, just like your home duvet, which means that you can launder the cover without the filling. A normal sleeping bag needs to be washed in a large capacity washing machine and so, by avoiding costly trips to the launderette, you will recoup the cost of your cover in just a few washes. Your duvet remains protected by its cover and so will rarely need washing. Our Adult's sleeping bag takes a standard double duvet (2m x 2m) and so is a generous 1m wide x 2m long when folded in half and zipped together to create our version of a sleeping bag. 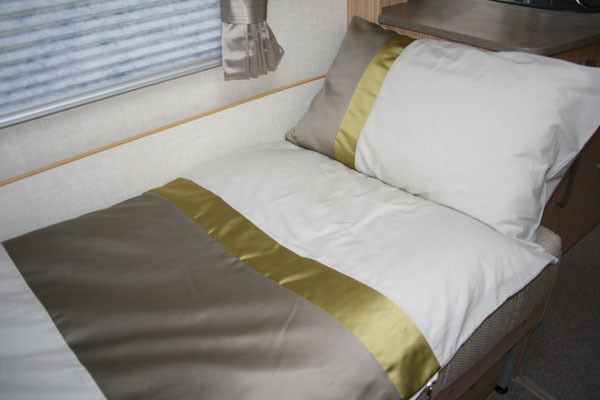 This is ideal for use on the front single beds in the dinette area of your motorhome which are usually about 72cm wide. It’s warm and cosy and won’t fall on the floor in the middle of the night, meaning that you will get a great night’s sleep. In the morning, you just roll it up and stow it away! Better still, if you decide to make your dinette area up to a double bed, you can zip two of our Adult's sleeping bags together to form a generous double sleeping bag so you can cuddle up to each other !